I haven’t written in a while. Here’s why. Black History Month. The Wellesley African Student’s Association (WASA) held Africa Week during February. For the first time since I had set foot in the United States, I was excited to be involved with the activities they planned. I found my niche with WASA. I got involved as much as I could after Africa Week because I felt engaged by the community I had found. I actually wrote two check-in blogs in February, but I didn’t submit them. One was a compilation of frustrated glimpses into snippets from actual conversations I had had with people over the course of my time in the States. I decided it came across as angry, which wasn’t reflective of how I felt at the time so I ditched it. I wrote the other one the day I watched Blank Panther. Up to this day, I cannot make sense of what I wanted to say. The word “network” began popping up in conversations I was having with friends and classmates at Wellesley. I discovered the importance of putting oneself out there and engaging with individuals who have taken a path which one thinks they will take and figuring out if the path is for them. I attended the Harvard Business Conference, although I initially didn’t want to. I met people I have admired since I was young and identified new individuals to look up to. The African Women’s Leadership Conference was organized by Wellesley College in collaboration with the MasterCard Foundation, and it was a real game changer for me. Being in the same room and interacting with the dynamic and strong women who spoke at the conference is the best thing to have happened to me in a long time. Later on, I decided to visit my USAP siblings at University of Pennsylvania during my Spring Break. I made the decision during a late-night call with one of them. They treated me well even though they had the pressure of their own school work, and reminded me that USAP is a family not only in name, but in truth. When I went back to Wellesley, stomach full of the wholesome Zimbabwean food, I was refreshed and happier than I’d been when I left. April was a relatively uneventful month. I made the “radical” decision to get purple braids. The color made me happy and made me want to hold on to the happiness I had felt visiting my USAP siblings at Penn. The color of my braids drew a few comments, interesting conversations and a couple of stares. I remember trying hard to explain to people that the braids were just extensions but it didn’t work. There were those who will always think my hair just miraculously grew and that I had died it. In the end, I resigned to smiling warmly whenever someone launched into a detailed explanation of why they couldn’t dye their hair the same color as mine. I spent my twentieth birthday volunteering with my roommate at The Boston Project. Around midday, I picked up a dozen Red Velvet cupcakes made by my friend Jena from Wellesley Christian Community, of which I am a part. When I got time to myself later on in the day, I found myself reflecting on the connections I was losing and making. My communication with my family was dry because felt like I was losing touch and missing a lot of milestones. I was desperately fighting to keep old friendships alive via social media and fighting to find connections in the new friendships I was forming. I was constantly worrying about my support system and feeling like it was failing. And in April, I saw the Red Sox play for the first time on a freezing night and tried to comprehend this American fascination with baseball. As my first year of college drew to a close, I realized that I wouldn’t have changed a thing if I had to do it all over again despite being emotionally, physically and mentally exhausted. I realize now that making the decision to come back home to Zimbabwe over the “summer” break is the best thing I could have done for myself. Elation and trepidation consumed me simultaneously when the plane touched down on Zimbabwean tarmac. The classic meal of sadza, beef and vegetables for the first time in nine months wrapped its comforting arms around me and assured me that I had made the right choice. I was home and I was in a state of peace. Nothing else mattered. 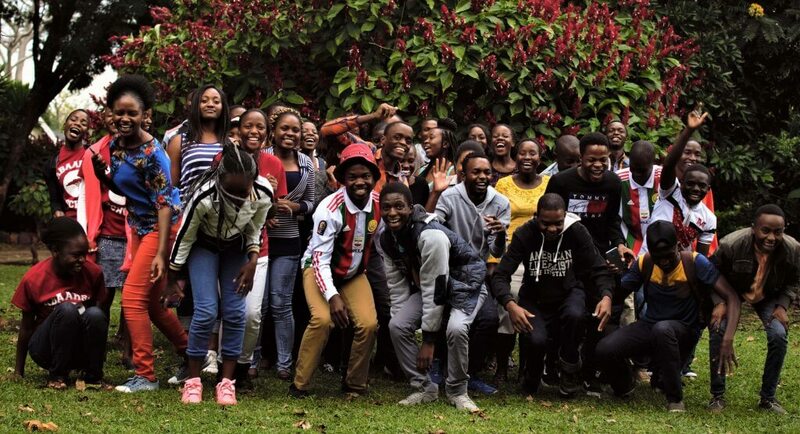 This blog post has been written by USAP student Nokukhanya “Vicky” Ncube who has completed her first year at Wellesley College. She is currently home as part of the Zimbabwe Career Connect Internship Program interning with the Women’s Coalition of Zimbabwe.